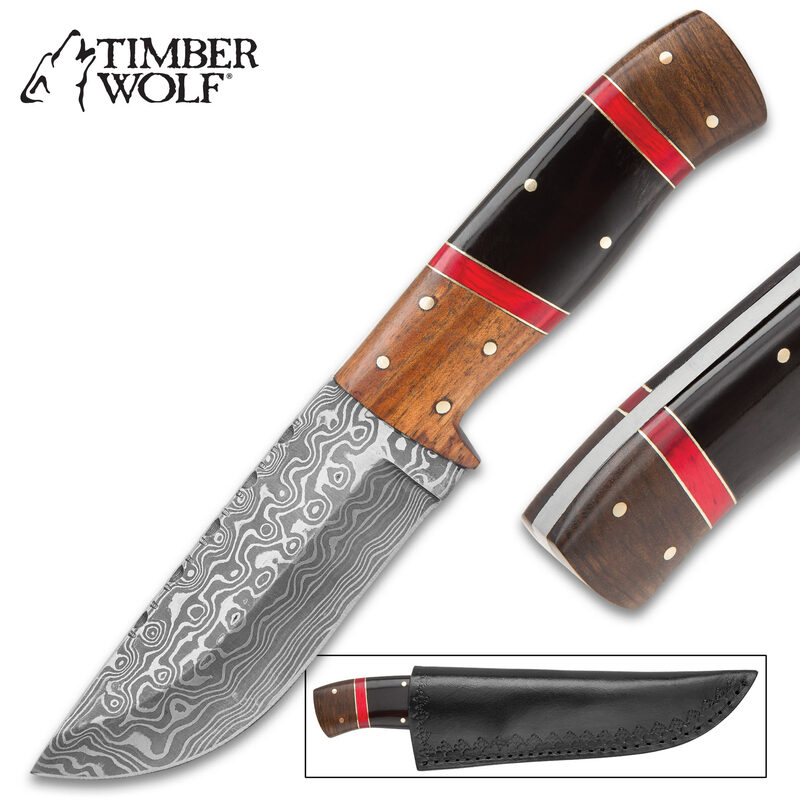 Timber Wolf Syrian Dynasty Fixed Blade Knife - Damascus Steel Blade, Genuine Wood and Bone Handle, Brass Spacers - Length 9 1/4” | BUDK.com - Knives & Swords At The Lowest Prices! The Syrian Dynasty Fixed Blade Knife from Timber Wolf looks just like it would have been carried and used on the streets of ancient Damascus. 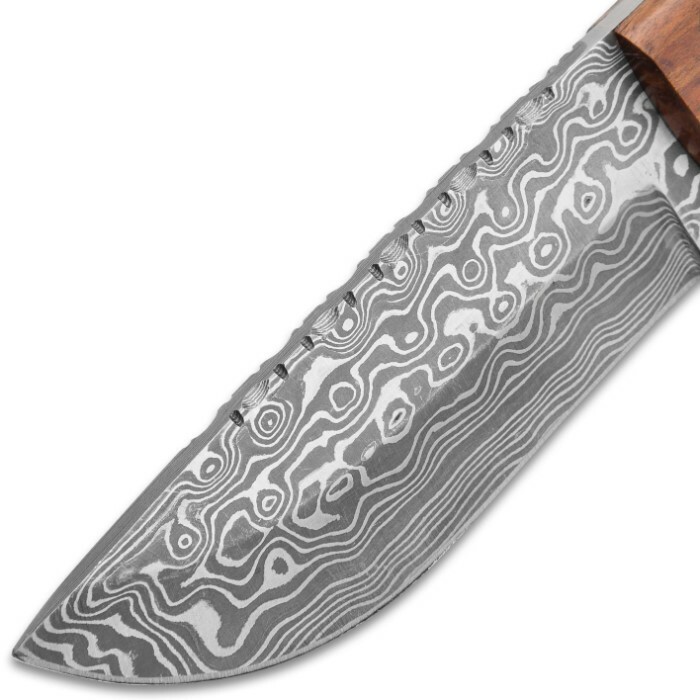 One of the oldest continuously inhabited cities in the world, it is also credited with giving the name to the Damascus steel of which the blade of this knife has been crafted. 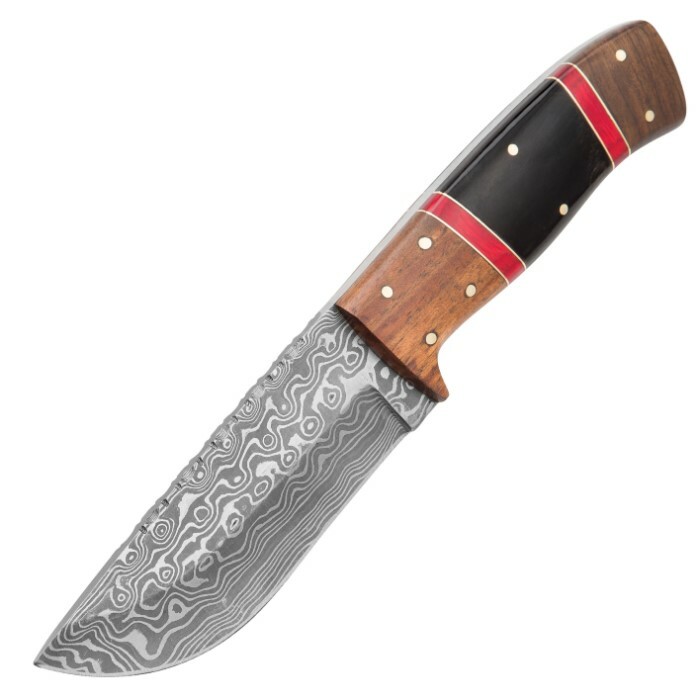 The 4 1/2” razor-sharp, full-tang blade is fully bellied, tightly secured with brass pins and features filework on the spine. 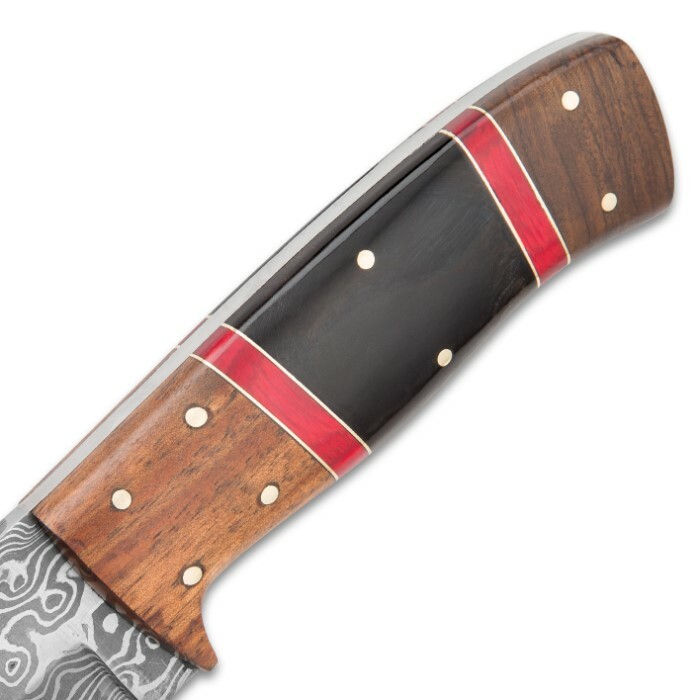 Further giving it the feel of antiquity, the handle scales are of genuine black bone and warm brown wood with red wood bands and brass spacers as complementary accents. 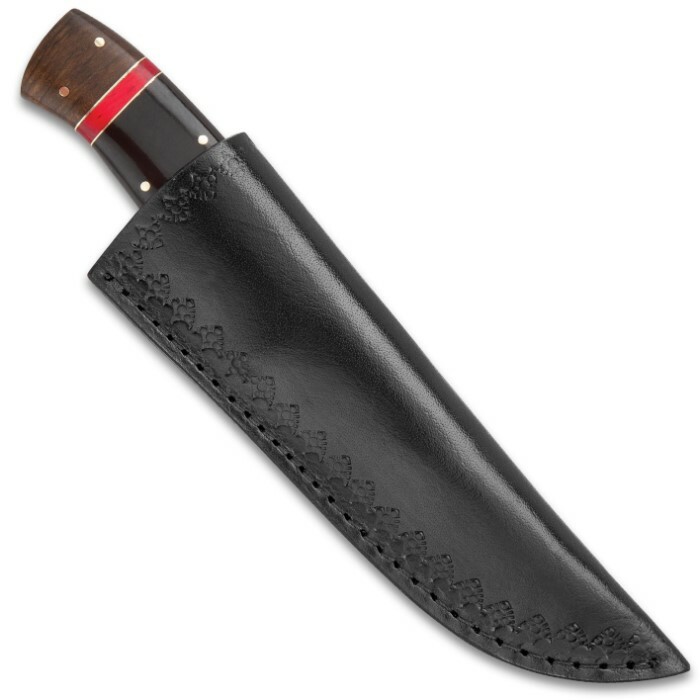 The fixed blade is 9 1/4” in overall length and comes housed in a premium leather belt sheath which features decorative leather stamping.